There’s an encrypted backup feature on iOS devices that can be optionally activated. It protects all backups with password and encryption. If you were using this feature but forgot the password for backups, you may be fortunate enough to recover it. 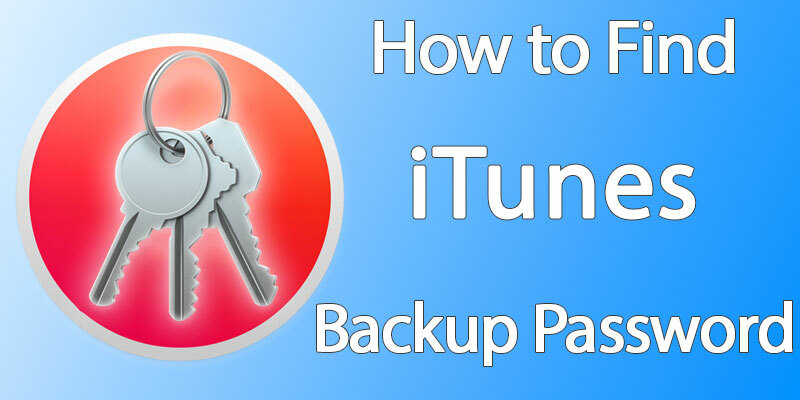 In this post you will learn how to recover iTunes backup password easily. This may not work for everyone. The process is based on the use of Keychain in Mac OS X. Not everyone uses it but should be checked if you face the situation, or want to help someone else recover a forgotten or lost iTunes backup password. In the majority of cases, it should be performed on the systems on which the backup was made, unless iCloud Keychain was activated by the user, which then makes it possible to do on any computer with the same Apple ID. 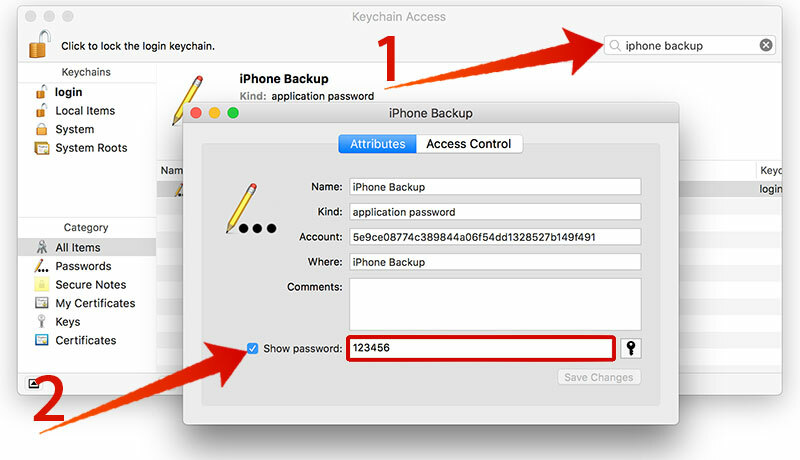 These steps will recover a lost or forgotten backup password that was made in iTunes. They’re applicable to iPad, iPod Touch, or iPhone. In the upper right window, there’s a search box. Enter “iphone backup” with your keyboard. Double click, assuming the Keychain has something. There is a box beside “Show password.” Put a check on it and enter the administrator Mac password to see the lost password for encrypted iOS backup. Write down the password, close Keychain Access. Head back to iTunes and use the password to access encrypted backup through a normal restoring process. If the Keychain Access doesn’t show anything, the only option you have left is guessing the password right. 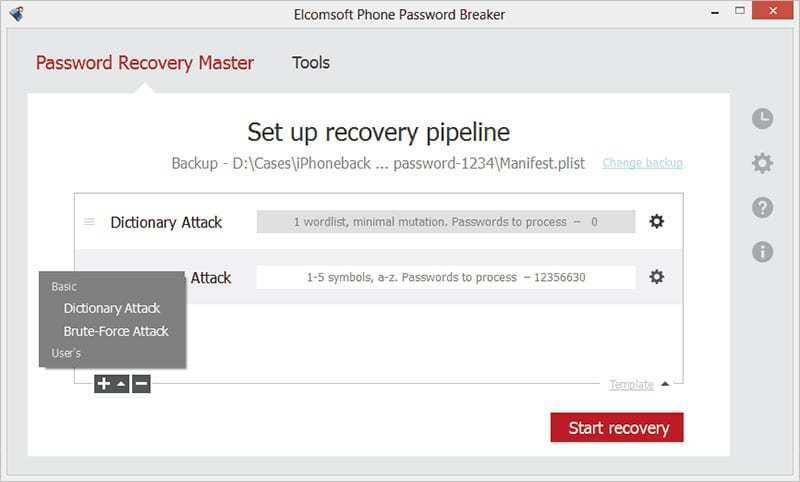 If No Password Recovery Option Is Seen For Encrypted Backups? Then iOS device should be reset to factory default and you must set it up as new without restoring from encrypted backup, basically using the phone as new. iCloud backups may still be available, and accessible with an Apple ID, but no guarantees as iCloud backup service isn’t used by everyone. Download and install the software on your Mac or Windows PC. Start the tool and select Explore Keychain. Select the password protected backup and click Attempt Password Recovery. To start the iTunes backup recovery process, click on the Start Recovery button. Now when you have the iTunes backup password, you can extract your data, restore the data to your iPhone or iPad or just disable the password for the new backups. It should be pointed out that the information is for accessing encrypted password protected backup from iTunes. And it doesn’t recover lost passcodes.